Clipper is a very soft rope which retains it’s flexibility even in wet conditions and does not lose it during it’s entire service life. A strong abrasion resistant rope suitable for many applications thanks to it’s ability to hold knots and it’s design. Made from braided 12 or 8 strand depending on size abrasion resistant Polyester with a twisted core. Availabe in White with Red and Black fleck. Sold by the Metre or on 100m Reels. A very flexable, pliable and strong rope. 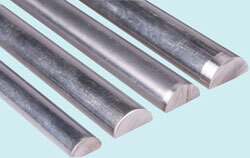 Suitable to be used for flag halyards etc. Made from Braided 8 or 16 strand Nylon depending on size with a parallel core. Availabe in White. Sold by the Metre or on 100m Reels. 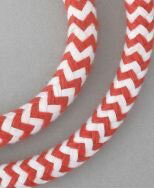 A heat-set 16 braid polyester filament rope used by dinghy sailors for control and trim lines. rope with a long service life, it retains its softness and flexibility throughout. It is made from a soft double braid polyester with a 16 braid outer cover. Special Offer: Buy 100 metre reel and receive 20% off! High quality rope with a high grip matt finish cover which is suitable especially for hand work. 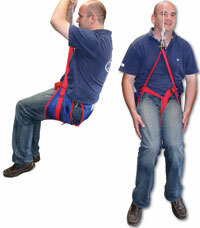 Zephyr is a soft and flexible rope which retains its flexibility. Suitable for mainsail, jib and spinnaker sheets. Zephyr is made from braided 16 strand abrasion resistant polyester with a core made from 8 braid low stretch abrasion resistant polyester. Rope with the lowest elongation in the Active line group. In addition, it allows for a perfect passage through pulleys. Bora exhibits a long service life and is a choice in all types of notches, stoppers and winches. In sea cruiser applications, the rope may be used for halyard of the mainsail, trim traveller, gen, cunningham, etc. With circling boats, the rope is especially suitable for such applications as halyards, outhaull, vang, etc. Bora is a soft rope made from braided 16 strand abrasion resistant polyester with a core made from pre stretched polyester. Available in either White with Red, Blue or Green fleck.